Trisha is the visionary and leader of GoodSocial, a software platform that harnesses the power and reach of social networking to help people perform, share and record acts of social impact. Trisha is driven by a passion to empower people to change the world through individual acts of kindness, compassion and generosity. She is starting a movement called the Give Economy. Her mission is to have 1 billion acts of humanity carried out through GoodSocial by 2025. 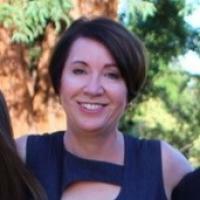 Prior to GoodSocial, Trisha spent 25 years as a tech industry executive at Sun Microsystems and other Silicon Valley firms. During this time, she held roles in general management, product marketing, product management, and demand creation to build and grow businesses ranging from $25-$250 million in revenue. Trisha attended the University of California at Berkeley.